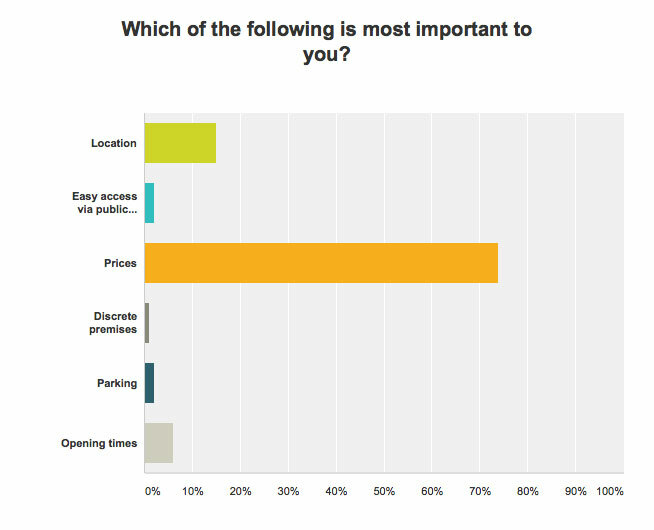 256 of you kindly took the time to fill in our online questionnaire so we thought we’d share some of the results with you. 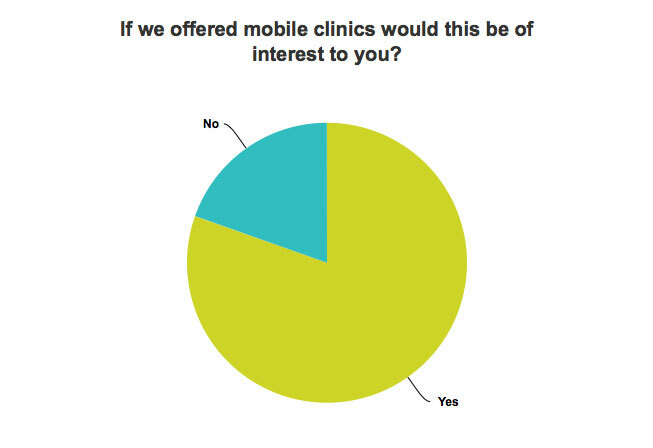 Questions ranged from the type of appointment and treatment that you’ve had with us to how important factors such as cost, location and appointment availability were. Have you been to us for treatment? 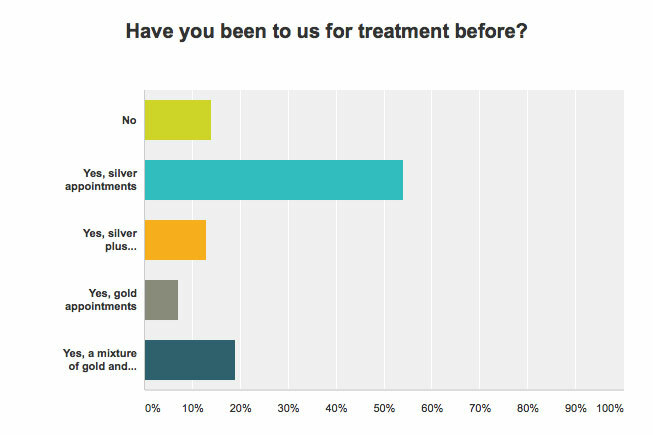 We’re very proud of the customers who come to us for Silver, SilverPLUS & GOLD appointment on both our Botox Liverpool & London Training Courses and to our weekly Clinics so it was great to get some feedback from those of you who haven’t been to us for treatment. We’re looking at expanding to other areas of the UK to offer treatments that you want but we weren’t sure if this would be a good idea. You seem to think it’s a very good idea! This was the big one and we weren’t sure which way it would go. Would cost be the over-riding factor when it comes to what you want or would location, opening times or additional treatment options be more important. Like Usain Bolt running against Gareth from our office; there was only ever one winner! Once again, thanks to everyone who took part. We promised that the lucky winner, drawn at random would get a £50 treatment voucher so please keep your eye on your email inbox to see if you won.